Eric Bedard created his original suspenZ 25 years ago. During that time, he shared it with a very small handful of professional magicians who have been performing it in their act. Recently VORTEX magic approached Eric and together created an updated machined gimmick that allows you to perform incredible suspensions from your hand. suspenZ allows for THREE amazing moments. 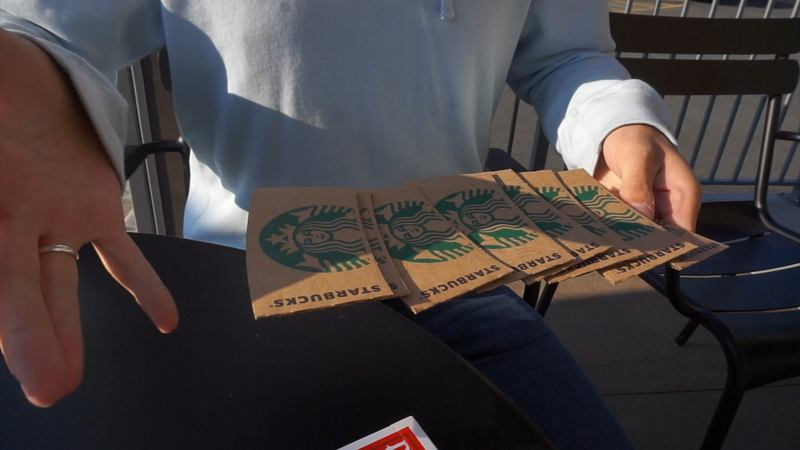 1) You spread the cards between your hands further than your normally could. 2) You take one hand away and the cards remain suspended. 3) You can reach over and take out a chosen card, and then hand the deck out. WARNING: DO NOT OPERATE gimmick BEFORE watching FULL tutorial - the gimmick IS fragile and can break if you don't follow directions. ALSO - in the tutorial we tell you how to strengthen it, so it can last longer. We highly recommend you do this, so it does NOT BREAK. It will be stiff to start with, but it WILL BECOME smoother - just BE GENTLE.